Each booking will need to be reserved with a refundable £50 deposit that will be returned afterwards if no damage or loss and keys handed returned in key safe. Prices exclude entertainment passes they can be bought on site if wanted. Full balance to be paid 6 weeks before to allow for turnaround of paperwork etc. 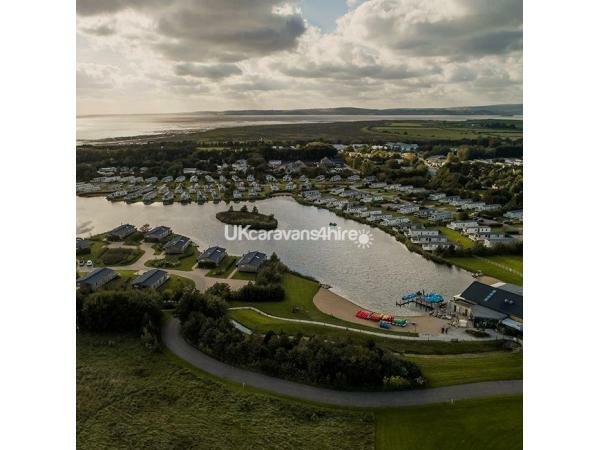 Welcome to the advert for our caravan sited on the picturesque Lakeland Park in Flookburgh, near Grange over Sands and Cartmel in the South Lakes. 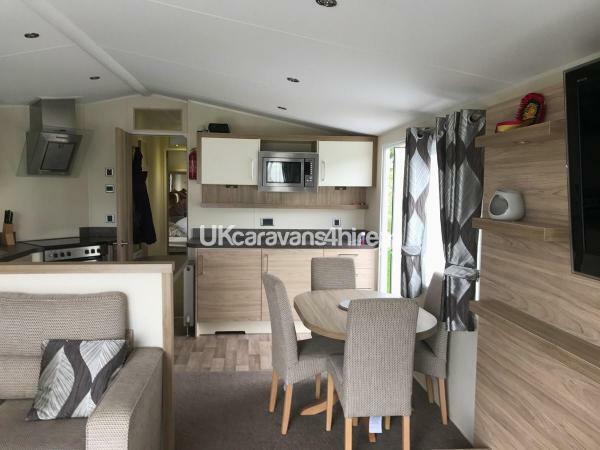 Our caravan is a 2014 Willerby Atlanta (Haven "Platinum + Decking" standard) with 2 bedrooms plus sofa bed, sleeping 6 in total. 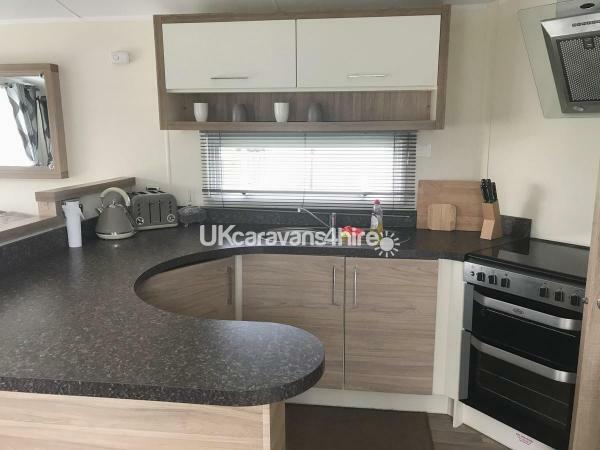 It has: patio doors leading to a lovely decking area with outdoor furniture, a fully fitted bathroom with shower + en-suite toilet and a fully fitted kitchen, is double glazed throughout and has gas central heating. It is smoke free and surrounded by safe open grassy areas. 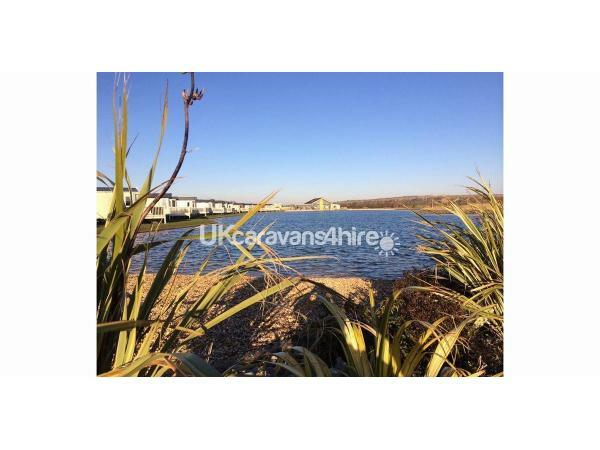 Lakeland Leisure Park has loads to do (biking, kayaking, golf, swimming, Segways, archery etc.) and is 10 minutes’ drive from Grange-over-Sands and Cartmel and around 20 minutes from Newby Bridge and the southern tip of Windermere. In addition to being on the doorstep of the famous lakes and fells, also nearby are Castles and Stately Homes to explore. The master bedroom is spacious with a double size bed, plenty of storage space with a walk in wardrobe and an en-suite. The twin room has 2 single beds and is perfect for kids to feel cosy. The lounge offers sleeping space for 2, so a family of up to 6 will have plenty of space. 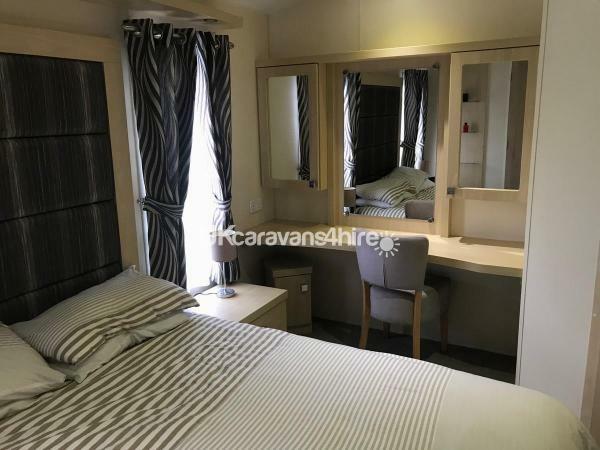 We also have the facility to make the twin room in to a Double size bed by pushing the two singles together The bathroom is equipped with a powerful spacious double sized shower. The kitchen/dining area is perfect for family dining. For the sunnier days there is a dining table and chairs on the decking lake. A fantastic place to relax on a family holiday.